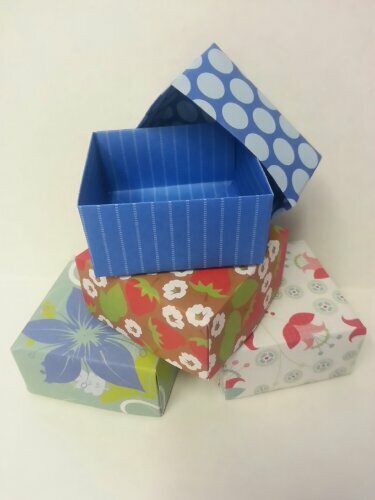 12 Hand folded boxes,,, 3 sizes… LOVE!! 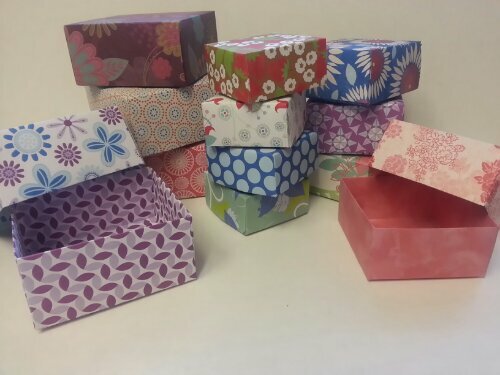 Large,,, Approximately 4 1/2″ Box..
What do you think,,, Aren’t these wonderful?? 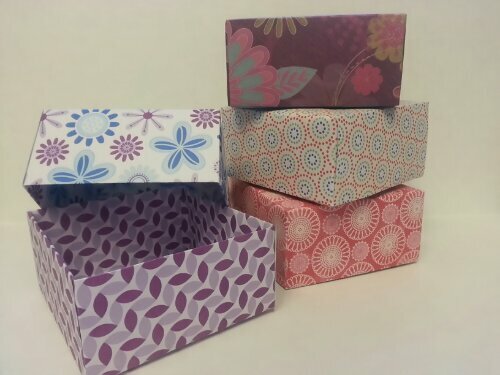 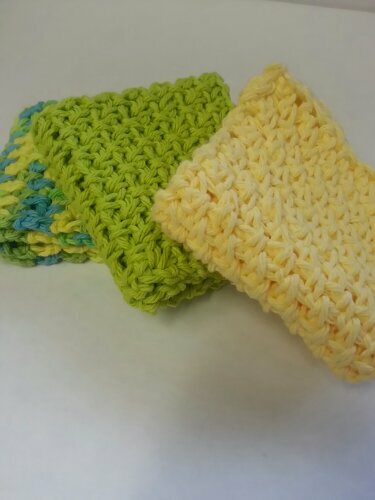 So here is to Cute Boxes,,,, Crochet and A Beautiful Month!! 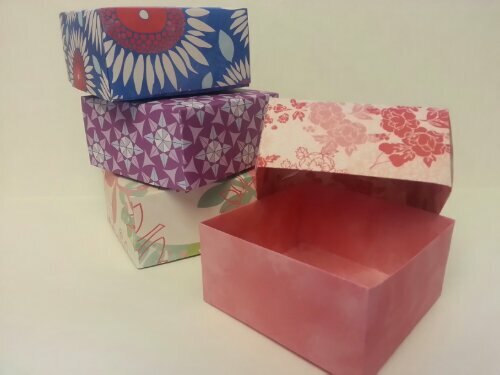 The face cloths are very pretty, I like the boxes too.